I’ve been trying a new bread recipe this week. 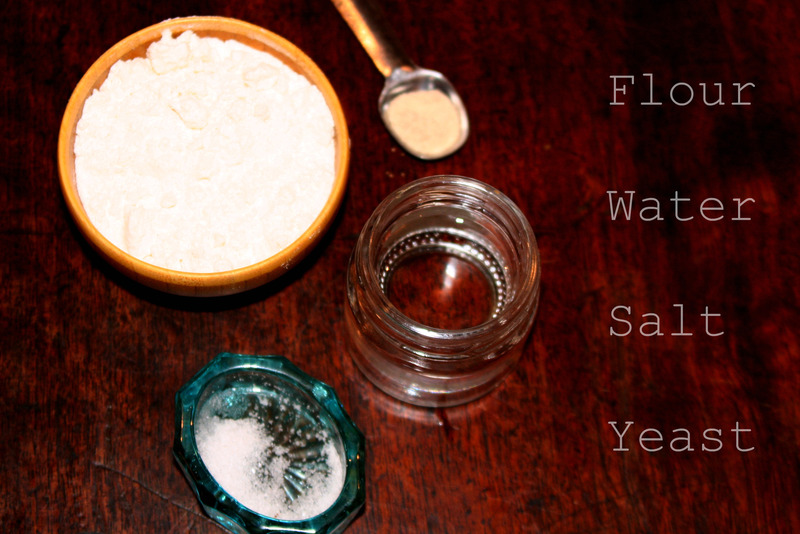 Fiddling with a mix of flour, water, salt, and yeast that is famous in Provence, France. Once I understand the method a bit better–I’ll share the recipe with you here. One of the many things I love about baking is the simplicity of the ingredients. As I move from the cupboard to the bowl and back again, measuring and sifting and sprinkling in the salt, I always recite those four ingredients in my head. 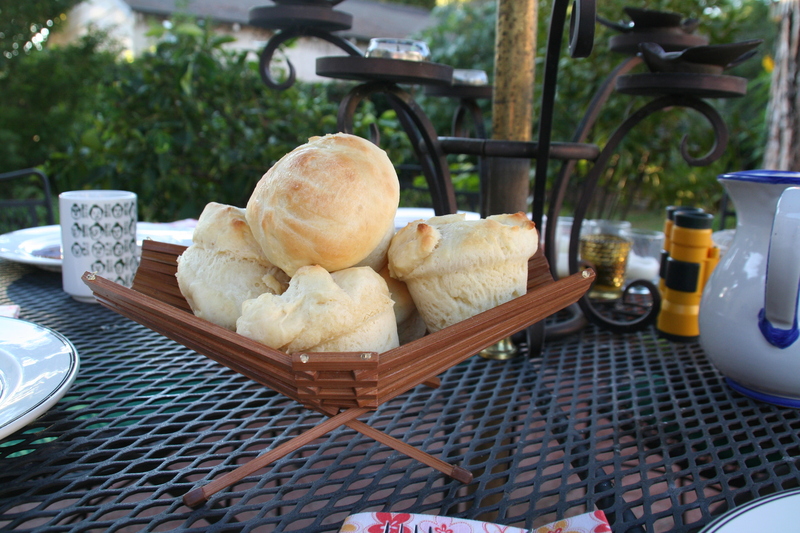 Flour, water, salt, yeast.–so few ingredients, yet each one so essential to the final loaf. 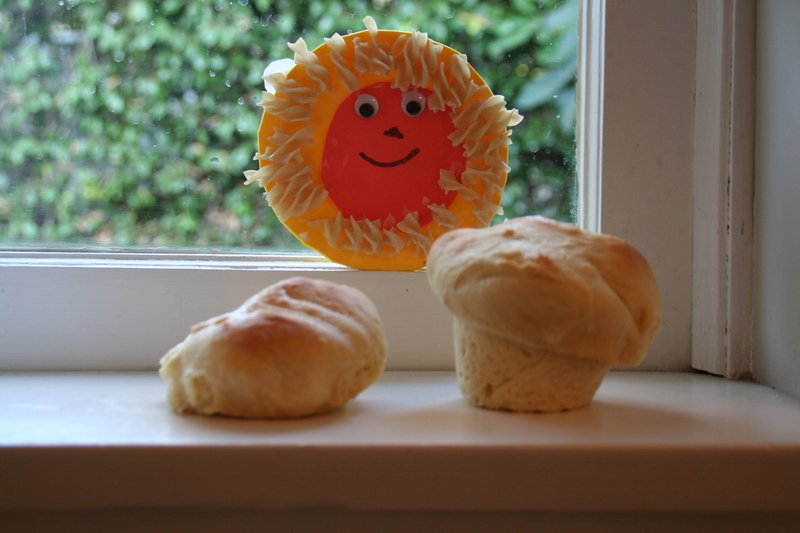 I’ve been blogging less, now that it’s Lent, but baking just as much. And my adventures in giving have continued. On Tuesday I had an extra French boule, and set out to give it to a neighbor, who lives in a charming little house on the corner, but whom we see only now and again. I don’t even know her name. Just down the street, only a block away, three little munchkins, all five years old–triplets–were running and shouting and cavorting in the street. It was easy to walk their way, toward their laughter. Two neighbors were talking. Two men I’ve never met. How can we have lived here in this neighborhood for ten years and still know so few?! It shames me. She laughed, and took it with a thanks, and the kids and I continued our after-school journey home. It takes such basic ingredients to bake one loaf of bread. Wheat flour, a foodstuff known to man for thousands of years. Salt, a mineral used in every culture, in every land. Yeast, found in the very air around us. And water. And giving is just as simple. A walk down the street. A knock on the door, or a wave of the hand. A word or two, and a smile. A quick exchange–the bread passing from my hand to another’s. I find this time of giving, during Lent, when we seek to strip ourselves of all the extras, as especially poignant. Flour, water, salt, yeast. This batch of bread was close to a disaster. It’s either the new flour ( Gold Medal “Better for Bread” –I bought it because it was on sale. :()… …0r yeast that is old and very unzippy… I forged ahead, and baked this floppy dough all the same, knowing that warm, fresh bread is good, even when it’s bad. So that’s one of my first tips on baking for you. Even when you flub it up, it’s almost always still pretty good. I’m a good flubber–so I should know. This loaf, for Mrs G was a flubber. As a consolation prize, while the oven was still hot, I threw in a batch of cookies to boot. You can make almost anything better with an added batch of cookies. But know this: Mrs. G deserves more than a loaf of bread and a small batch of cookies. Talk about giving! She teaches science to a gaggle of girls every Thursday morning, my daughter being one of them. Does she charge for this year-long class? No… If she did, I would be happily writing her out checks instead of baking her loaves of bread. Cheers to you, Cheryl, and all your science experiments! Anyway, back to the bread. I think the batch was a flop because of lame yeast. I’ll know next time I bake, since I’ll proof the yeast first and see how it responds in front of my eyes to a little warm water. Typically I don’t proof yeast; I just mix it straight into the flour while dry, and activate it as I’m mixing and kneading the dough. And here’s the floppy dough. I hope Ciara and Mrs. G enjoyed it. They had to stay home from church this morning because Ciara was unwell. Cheers. We love you, Mrs. G–and thanks for being an incredible science teacher. Maybe the next lesson could be on badly behaved yeast?!! !